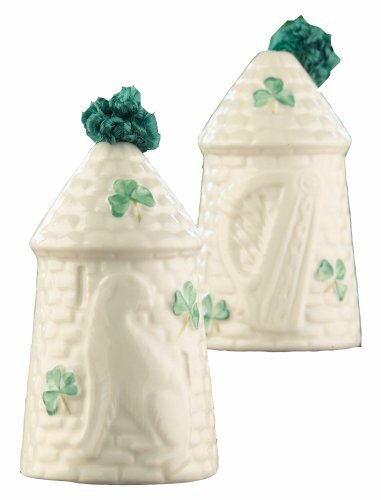 Made in Parian China this beautiful design of the Claddagh, symbolizes, love, loyalty, and friendship. 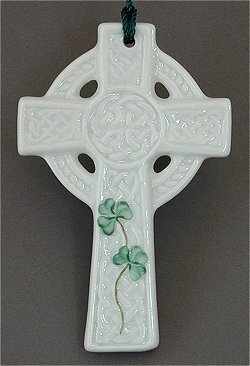 Note the celtic knotwork in the design in larger photo. 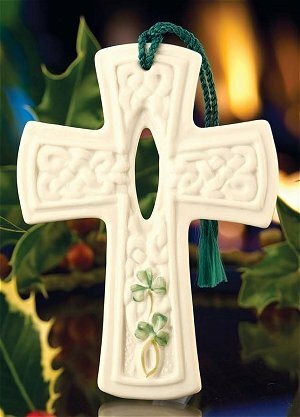 One of the few remains of Saint Coleman's monastery was the Dromore High Cross. The granite ninth or tenth century High Cross was reconstructed and re-erected in 1887 on the Cathedral grounds. 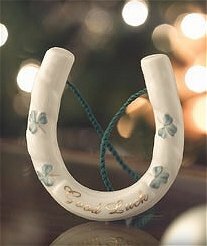 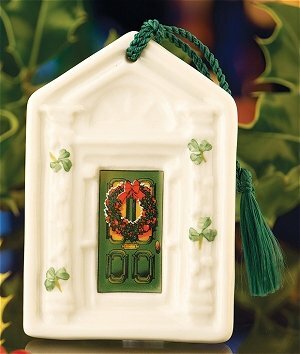 Our Belleek St. Kieran's Cross Ornament is crafted of Parian china with hand-painted green shamrocks. 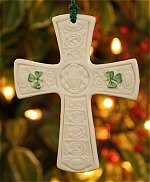 This celtic cross ornament is named after St. Kieran, the first bishop of Ossary, Ireland. 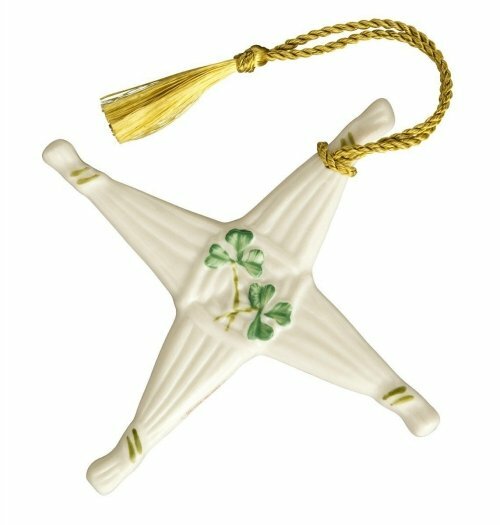 One of my personal favorites this ornament was produced to celebrate the 150 th anniversary of the founding of Belleek Pottery. They chose to use the trademarks of Belleek a harp and a greyhound. 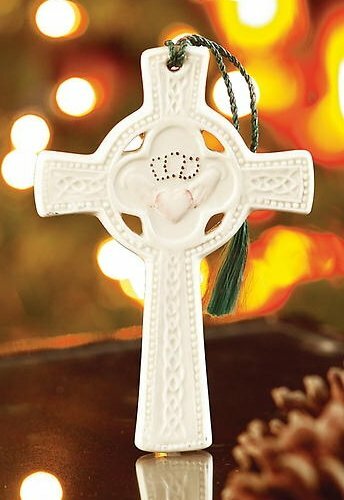 It is approximately 3 1/2 inches high and is also a bell ornament.